Here's another brush about which I can find no information. It is finely-lathed and polished Catalin. I don't know where it was made, but I would guess England. Despite saying "BMW", the logo does not resemble anything I have ever seen or researched re BMW Germany (engines, cars, etc). 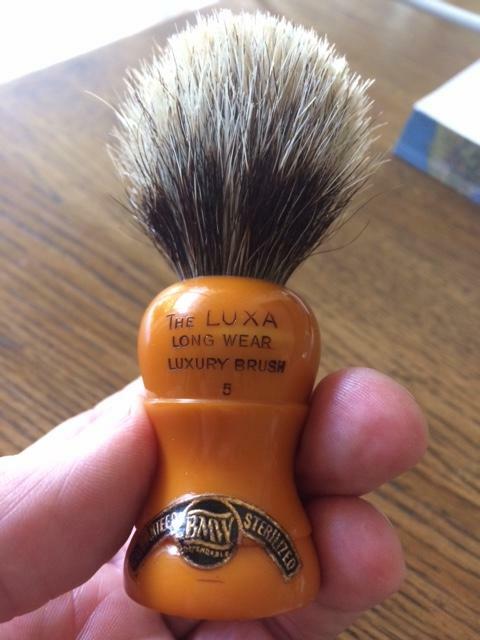 "The LUXA Long Wear Luxury Brush 5" ... and "BMW (Dependable) Guaranteed Sterilized". The other side says "BMW Dependable". The knot is 17mm; the base is 30mm across. The handle stands 48mm, and the loft is 45mm. That’s a sweet brush! Never seen anything like it. 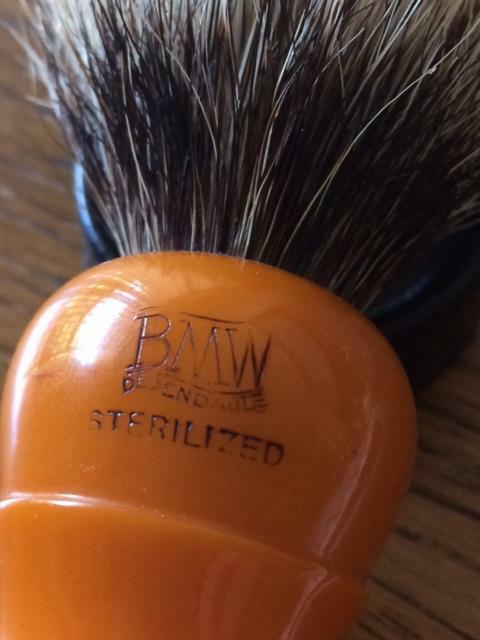 Shaun, you post the coolest shave gear. Thanks for sharing (again). (10-17-2017, 07:42 PM)chazt Wrote: Shaun, you post the coolest shave gear. Thanks for sharing (again). (10-15-2017, 06:52 PM)Shaun Wrote: Here's another brush about which I can find no information. It is finely-lathed and polished Catalin. 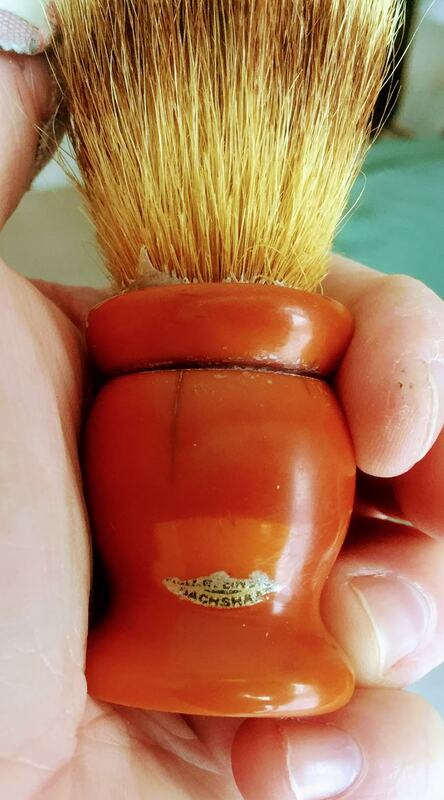 I recently purchased a vintage brush and need some addition info on it. There is no makers mark and only has a partial sticker. From what the seller told me, his father bought it in Germany in the 60's, and that pans out due to one word I can make out is Dachshaar which translates from german to badger hair. Let me know if you have any ideas. I looks like a tulip Simpson, but it's not, unless Simpson made it for another retailer. 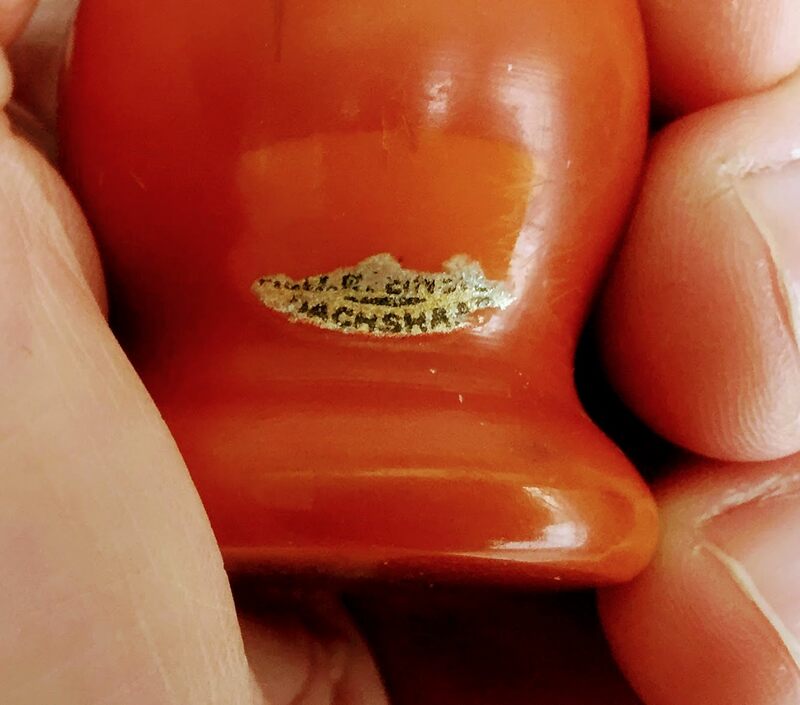 The label reads "Dachshaar". Hence, it is a German brush.